CO2 laser resurfacing is one of the most effective treatment options available for diminishing scars, skin blemishes, and wrinkles. 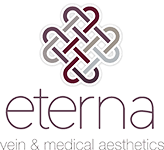 The team at Eterna Vein & Medical Aesthetics in Puyallup, Washington, comprises highly qualified and experienced medical professionals who have the expertise to carry out CO2 laser resurfacing treatments safely and effectively. Find out more about the benefits of CO2 laser resurfacing by calling the clinic today or book an appointment online. Laser resurfacing is a technology used to improve the tone and appearance of skin. CO2 laser resurfacing is an ablative form of laser treatment, meaning the laser removes the outer layers of skin. Laser treatments can also be non-ablative, meaning they don’t remove layers of skin. The advantage of ablative methods is that you need fewer treatments compared with non-ablative procedures. CO2 laser resurfacing also heats the dermis, the tissue under the top layer of skin. Heating the dermis stimulates the body to increase collagen production, and when the new collagen fibers grow, they’ll further improve your skin texture. What conditions can CO2 laser resurfacing treat? CO2 laser resurfacing is suitable for a range of skin tones, but it’s essential to work with a practitioner who understands which lasers work best on darker skin tones, to avoid the risk of hyperpigmentation. CO2 laser resurfacing isn’t recommended for anyone who has excessive skin sagging or a breakout of acne. Your practitioner at Eterna Vein & Medical Aesthetics may recommend that you undergo CO2 laser resurfacing treatment during the cooler months of the year to minimize exposure to the sun. In some cases, delicate skin suffers side effects if exposed to the sun following treatment. What happens during CO2 laser resurfacing treatment? The first stage in any treatment process is your assessment, where the team at Eterna Vein & Medical Aesthetics checks your medical history and current health to ensure you’re a suitable candidate for the treatment. The next stage is preparing your skin for the procedure. A few weeks before the CO2 laser resurfacing is carried out, if needed, you’ll undergo a series of skin treatments that reduce any risk of side effects and improve your skin’s tolerance to the laser treatment. When you visit the clinic for your CO2 laser resurfacing session, your skin is cleansed to remove any dirt, traces of makeup, and oil from your pores. Your practitioner then applies an anesthetic cream or gel to your skin so that you don’t feel any discomfort during the treatment. Your practitioner carries out the procedure using the CO2 laser, moving it slowly around the treatment area to cover the skin evenly. Afterward, your skin is protected to keep it clean and moisturized to aid in the healing process. Your skin may take several weeks to heal and may be sensitive for up to a year after the procedure, but the effects can last for several years. If you want to discuss your suitability for CO2 laser resurfacing, call Eterna Vein & Medical Aesthetics today or book an appointment online.